Levi’s is the best-known brand for jeans in the world and has therefore also most experience in the creation of jeans clothing that fits everybody. 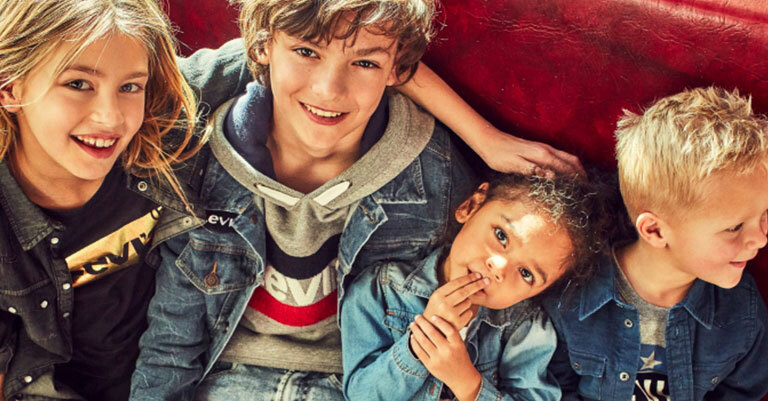 Every pair of jeans adjusts perfectly to the child’s body thanks to the sewn in elastic band. The only exception is the model “501”, since it cannot be altered due to its status as an original feature of Levi’s, and together with the red ribbon and the decorative seams on the back pockets forms Levi’s most important trademarks. Here at House of Kids you will find a big selection of jeans, t-shirts and sweat clothing for children between the ages of 0 and 16.